As a Senior Machine Learning Engineer you will lead the building of intelligent systems that provide personal, location and context-aware recommendations to foster a sense of community in our digital and physical spaces, enable increased productivity for our members and evolve the ways in which members connect within the community. Having a strong software engineering skill set is critical to this role. You will build scalable infrastructure, develop advanced algorithms, and deploy solutions in a production environment. Your final output will be working software components (not the analyses or visualizations that you will have created along the way), and your “audience” for this output will often consist of other software components that run autonomously with minimal human supervision. The Member Experience mission is responsible for delivering technology that creates intelligent environments and connected, consciously-engineered communities for every space in the world. Our team is interested in increasing lifetime value, satisfaction productivity, and building engaging community models in smart environments. Our tools give our members superpowers to connect with the people and things which will make them happy and successful. We are able to do this primarily through the WeWork App (Android, iOS, web) and its core services. You will partner with Product, Design and Data teams to drive feature development end-to-end. You will lead the design, development and deployment of large components of our data products and platforms for feature engineering in production environments. You will develop platforms and microservices for machine learning, optimization and experimentation. You can actively contribute to setting quarterly engineering goals and objectives for the team. You can mentor and coach more junior team members. You will exercise thought leadership on systems design, infrastructure, and applied machine learning. 8+ years of software engineering experience. Expertise in at least one of the following areas: recommendation systems, machine learning, pattern recognition, experimentation, optimization, NLP, network analysis. 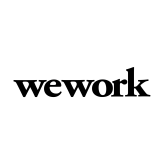 Want to get notified about new jobs at WeWork?